Michael Flynn and his wife arrived this morning at the E. Barrett Prettyman Federal Courthouse for his sentencing at 11:00 AM. Flynn was scheduled for sentencing today for lying to FBI investigators. Flynn was set up by Obama Deep State operatives who did not even tell him he was being interrogated at the time. Their 302 report is littered with inconsistencies and outright lies. Judge Emmet Sullivan on Tuesday suggested that General Michael Flynn committed treason. Michael Flynn is a decorated war veteran and hero. The ONLY REASON he is being investigated is because he supported Donald Trump. Later today the court released a transcript of the hearing. Judge Sullivan was confused, abusive, careless and unfamiliar with the case. The hearing today was a disgrace and an assault on an American hero. Techno-Frog tweeted out the transcript with comment. 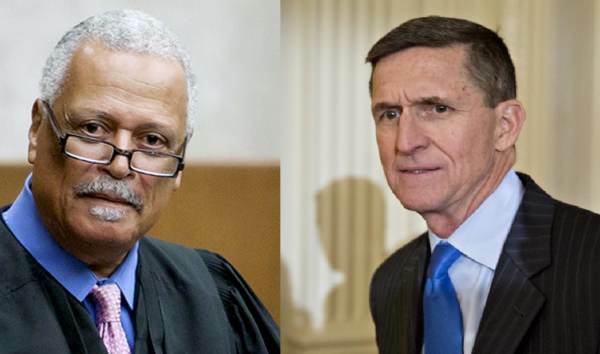 Judge Sullivan accused Mike Flynn of being “an agent of a foreign government” while working in the White House. This is not even close to being true.